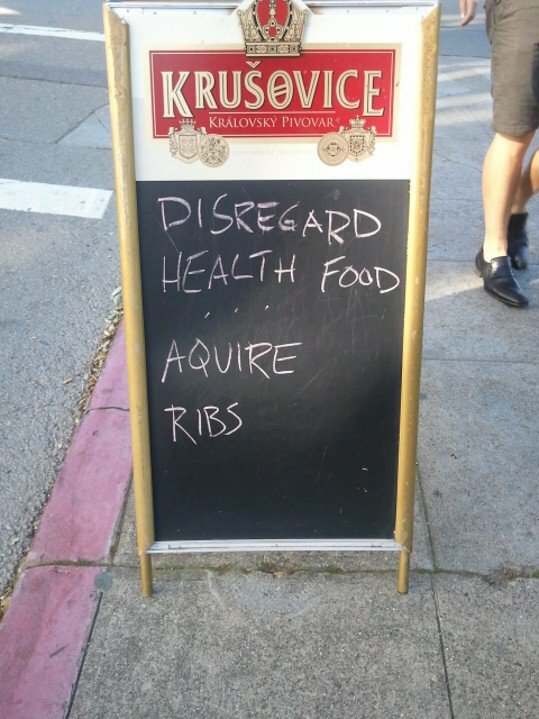 Berkeley is full of people who have strong opinions, and thus, full of various types of signs. First off, if your car does not have an Obama sticker, it is understood that you’re either a) sceptical of Obama because he’s so moderate he’s basically a crypto-fascist or b) somewhat of a crypto-fascist yourself. (Exception: If you drive a Prius or a Subaru, you’re not required to use any additional stickers, it’s already clear you’re a Lib’rul or worse.) Further stickers that are beloved by Berkeleyans: the COEXIST, the KPFA, and the Darwin Fish. 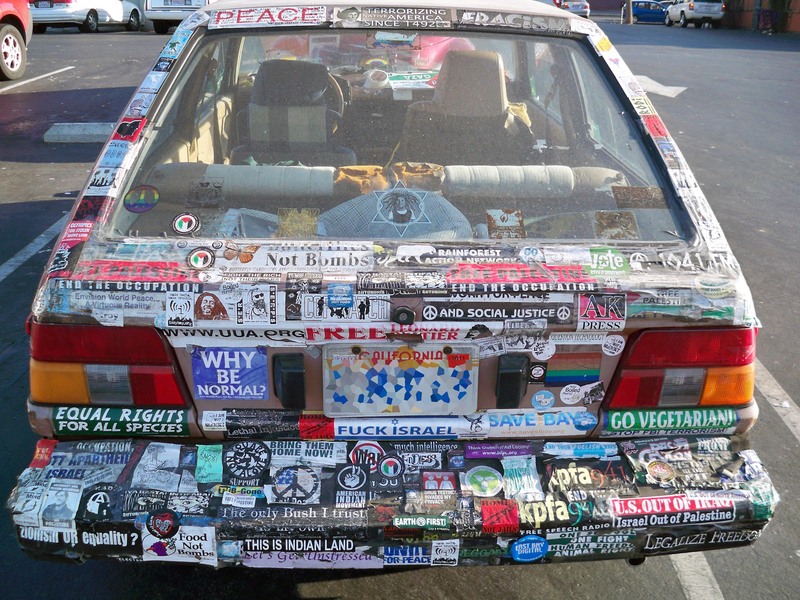 If you have collected lots of political opinions over the decades, your car will slowly turn into this – a common sight on Berkeley parking lots. (Up in the hills, one bumper is still telling us to “END APARTHEID NOW”). There’s lots of lawn signs, murals, and signs in windows. Signs on bikes declaring “NO WAR FOR OIL – BIKE FOR PEACE”. Wat? Echtes Kruschowitzer da bei Ihnen? Ich glaub’s ja nicht! das wird wohl auch so eine Art Bud light sein. Ein echtes, schwarzes Bier würde einen Amerikaner ja auf der Stelle umbringen. Anyhow, just stumbled on your blog through metafilter and was browsing through the archives, very much enjoying your writing, and your bilingual (bicultural?) humour.